I really do believe Australia can win the World Cup. I think it's a fantastic one-day side. The talent is there, and if they can gel quickly, I think they'll play really well. Dave Warner and Steve Smith will be welcomed back, they will reintegrate easily, and they could, in fact, give the Aussies an edge. They will want to make a statement, they will want to make amends, but also to prove to everyone just how good they are. They'll be so driven. I think David Warner could be the player of the World Cup. Warner and D'Arcy Short open for me, with Aaron Finch, the captain coming in at three. The Aussies can bat deep too, with Alex Carey coming in at eight, but that means leaving out a frontline spinner because you need three fast bowlers. I think between Short, Glenn Maxwell and Smith you can get 10 overs of wicket-taking spin, plus Marcus Stoinis who has been Australia's leading one-day wicket taker over the past 12 months. I don't understand why, for the one-day tour of India, they only picked Short as short-term cover for Shaun Marsh, but still picked Usman Khawaja, who is not in my World Cup squad. FIELDING, he should be opening the batting for the one-day side. He has to play in the World Cup. I'm happy to back in Aaron Finch, but maybe batting at three. 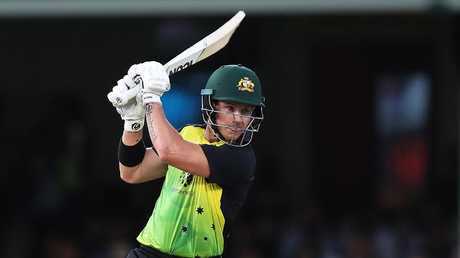 He scored more than 1000 white-balls runs for Australia in the past 12 months and he captains the side well, so he deserves the extended chance. This summer he was up against the best Indian bowling attack ever to tour here, and they got on top of him. He has to make runs, no question, but I think for Finchy, one big score and he'll be fine. I'd really like to find a spot in the team for Ashton Turner, but he's a very handy reserve. He comes in if Smith's elbow doesn't recover. Smith has to be able to field too. If he can't throw, he doesn't go. I'm also happy to include Peter Handscomb to keep his spot in the squad. I like what he's done in the team recently. Handscomb can be a back-up keeper, and so can Josh Phillipe, who I'm including as a bit of a bolter. I think he's potentially a star of the future, and while he might not play, being a part of the squad for a World Cup would give him an idea of what international cricket is like, and it could INSPIRE HIM. Adam Zampa is my spinner just ahead of Cameron Boyce. There will be games where conditions dictate you might need an extra spinner, or even to play a frontline spinner instead of a quick. That means no Nathan Lyon. The trends in world cricket show that in limited overs cricket now, the most successful spinners are leg-spinners. Riley Meredith also makes my squad. 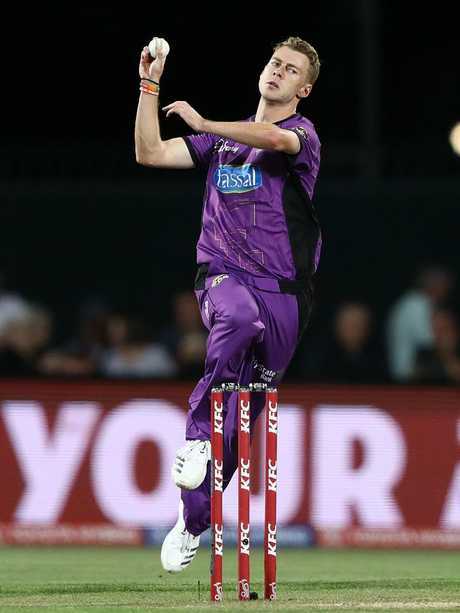 I watched his opening over against the Melbourne Renegades last week, when he went for 23 and bowled all over the place - but it was just one of those days. I think he's another young player who could be a massive part of Australia's future. Like Phillipe, he could play a part, but more than anything, being around the squad could be huge for his development. I've picked 16, so one player drops of out that squad, with form and maybe injuries to determine who that is. Ashton Turner, Adam Zampa, Peter Handscomb, Josh Phillipe, Riley Meredith.